Snow powder is specially made for indoor use (at your home or shop). After moisturising your products (flower, plant, leaves, Christmas tree etc.) you can apply the snow on top of the water. The product is safe for anyone to use. 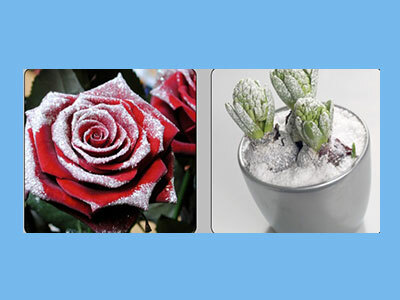 The snow powder forms like natural snow, is self-adhesive and water and moisture lasting.